A successful strategy to help people with mental illness lead productive lives is for them to engage with a process of growth that reminds them of positive outcomes. At Fountain House, among many different tasks and occupations, members are exposed to the responsibility and care necessary in horticulture. The care lavished on a plant or flower or vegetable essay to its growth helps connect the members to positive emotions and outcomes. 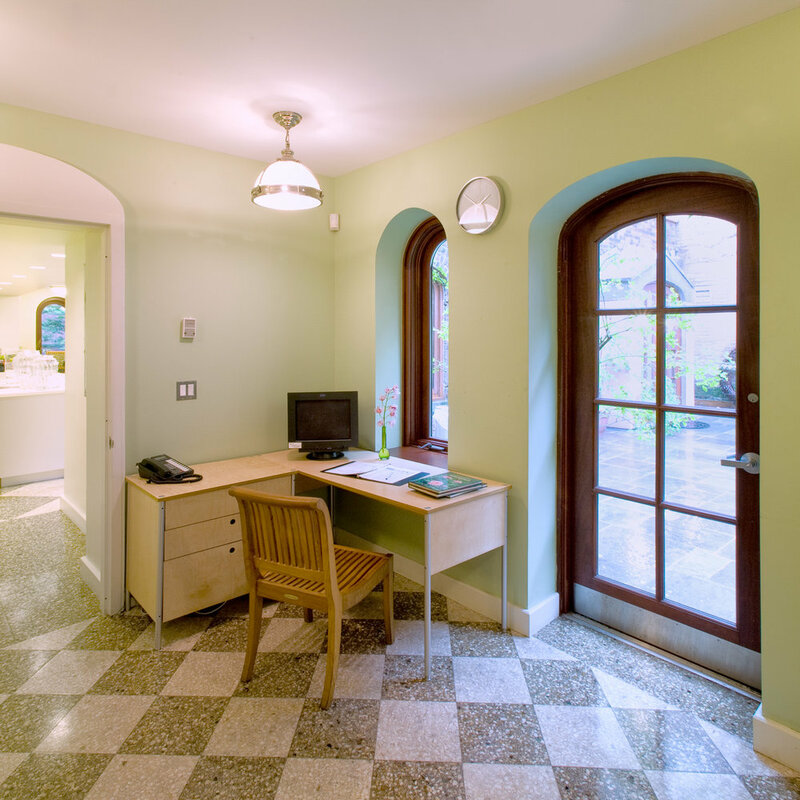 Placed between two outdoor gardens, this facility provides a pleasant working environment to encourage member participation in developing their skills while they green the headquarters of the organization. There is also a hydroponic garden that provides market greens for the Teaching Kitchen and take away sales for the members. 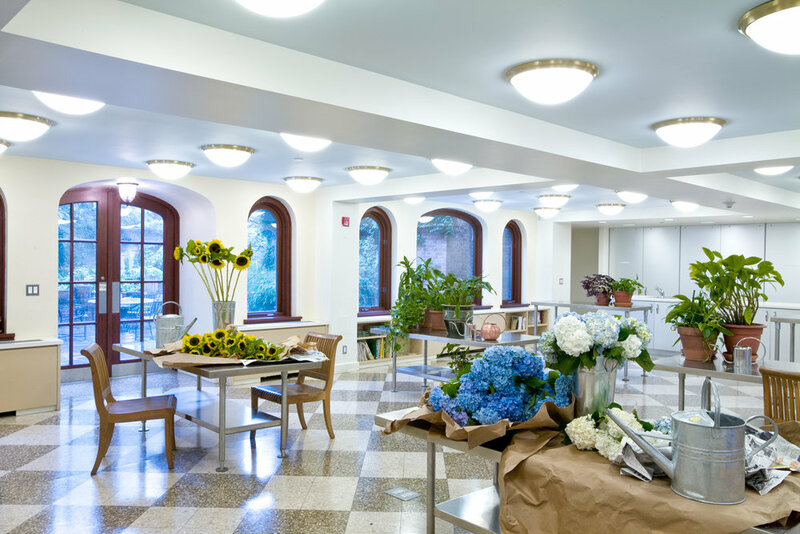 In addition the space was designed to serve as a an entertainment space for the organization’s development functions, annually becoming the location for a summer party amongst the flowers.